The great “studio system” of Hollywood saw its high-water-mark in the 1930s and 40s, but it’s antecedents could be seen many decades earlier. Due to the enormous hunger of the public for content in the new medium, tiny mom-and-pop filmmaking operations boomed into financial giants with remarkable speed, and then competed with one another for the best markets, often stepping on toes or breaking copyright laws to get there. In this week’s contextual post, I’d like to talk a bit about the companies that created the century films I’ve discussed up to now. 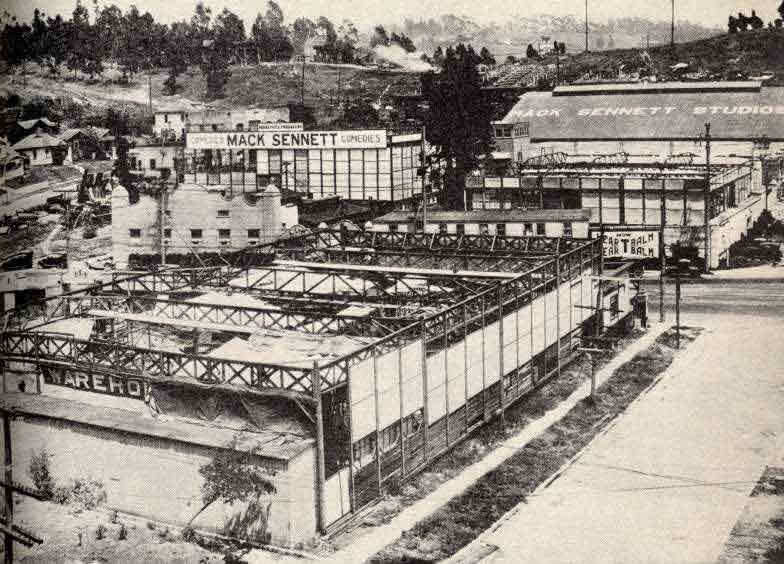 Edison Studios is the logical place to begin any discussion of American film studios. By 1914, it was doing business as “Thomas A. Edison, Inc.” and was a part of Edison’s “Motion Picture Patents Company,” also known as “the Edison Trust.” Edison felt that his company owned the patent on motion picture technology, and controlled who could make films legally. His lawyers went after smaller companies making films with all the aggression of Disney, Apple or Microsoft today. This was one reason for the shift in American filmmaking away from New York (where Edison was headquartered) to the wilds of Southern California (which was close to the Mexican border, if you needed to dodge a subpoena). All that aside, by 1914 the Edison company was lagging behind the others in terms of innovation and productivity. You’ll find a few exceptional Edison films from this period, but they often feel clumsy and old fashioned compared to the product put out by the more dynamic, smaller studios. General Film Company was a part of the Edison Trust, and was founded in 1909 by the Trust. They were the strongarm wing that tried to use patent law to break the smaller studios or force them to join the Trust. They also produced over 12000 movies in their short span, including the popular serial “The Perils of Pauline.” By 1914, much of their power was spent and the Motion Picture Patents Corporation was fighting for its existence against anti-trust prosecution. The Biograph Company was another New York outfit, which started out when an Edison technician, William Kennedy Dickson, defected from Edison to start his own company. He avoided patent infringement by inventing a new camera-and-projection system, but this limited their audience until Biograph won an important lawsuit against Edison in 1902. By 1914, they had joined the “Edison Trust” to try to keep new companies out of the market. Biograph produced many artistic and original films, especially when director D.W. Griffith joined the company after a brief stint with Edison. However, their resistance to making feature films created a vacuum the independents were happy to fill, and ultimately drove Griffith, their biggest asset, to seek greener pastures. Keystone Studios was one of those upstart companies that never joined the Trust. Located in Edendale, California, it was founded by Mack Sennett, who had previously worked for Biograph in New York, and made a name for himself as the “king of comedy.” Keystone is remembered today mainly for slapstick, such as was seen in the many “Keystone Cops” pictures, as well as the work of superstars of comedy like Fatty Arbuckle and Charlie Chaplin. Keystone focused on short movies, cheaply made, but with an eye toward innovation and dynamic motion. Chaplin, who may seem to define the company for us today, actually only worked for Keystone for about a year, beginning in early 1914 and leaving at the end of the year when Sennett refused to pay him $1000 a week. The United States was only a part of the story of the history of film. In fact, up until the First World War, the real center of film production remained France, and since I’ve talked about some of those movies, it makes sense to devote some space to their studios as well. Frères Lumiere were arguably the inventors of motion picture technology, no matter what Edison said in the US. They saw it as a technical toy, however, and claimed there was “no future” in it as an art. They were ill-positioned to move from the “Age of Attractions” into the “Nickelodeon Era” and largely stopped making movies after 1905. Georges Méliès, then, was the French visionary who saw more than the Lumieres. He built his own production studio in his backyard, making a structure out of glass, like a greenhouse to let in the sunlight that early motion picture cameras required. He made short fantasy pieces that demonstrated the possibilities of film as a story-telling medium. His movies were seen all over the world, but unfortunately, he was a poor businessman and a lot of the copies going out were pirated. By 1914, desperate to hold on to what he had, he joined Edison’s Trust, but it was already too late, and audiences were abandoning his fanciful creations for more elaborate, sophisticated movies. Pathé Frères was a French company that was happy to pick up the slack left by less innovative studios. Today they are mostly known for Newsreels, which they developed and distributed from 1908 to 1970 (!). They also produced fiction films, however, and even had a short-lived deal with Méliès in 1913. Pathé’s American branch did join the Edison Trust as well. Gaumont Film Company claims to be the oldest continuous film company in the world, and it did get its start right about the time the Lumieres were first demonstrating their system. They managed to attract Louis Feuillade, a truly prolific director who found time to write manifestos about the art of cinema as well as making over 600 films in a relatively short career, including the “Fantômas” serial. The story in France has a tragic side, however, because after the outbreak of war in August, 1914, the French film industry was literally sacrificed to the war effort. Film stock was melted down to produce armaments, and the French never recovered their dominance afterward, leaving it to the Americans to define the art form of the Twentieth Century.